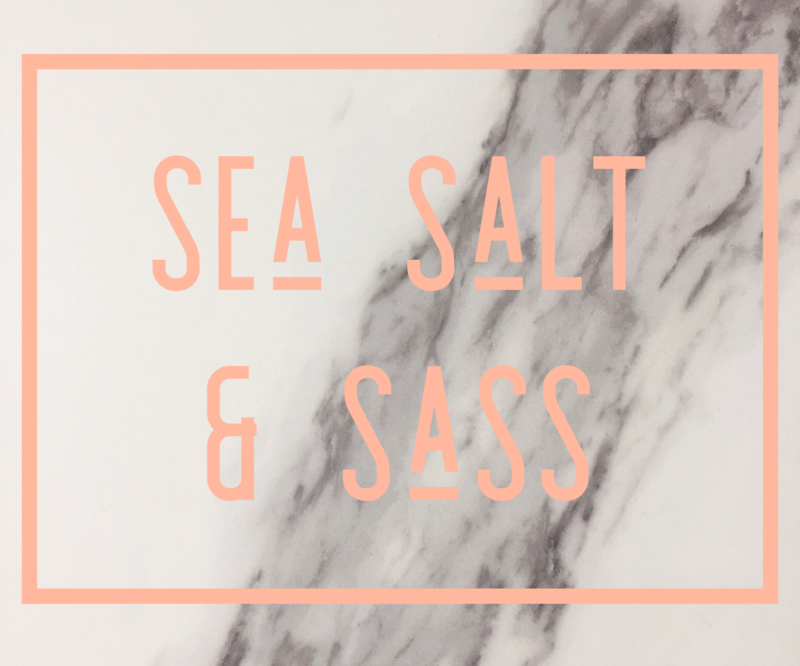 Sea Salt & Sass was created on a random day when two young women sat down and started discussing everything that was going on in their lives – from buying new homes at the same time, to engagements and weddings, home renovations, vacations planned for the year ahead, how they both needed to figure out their workout schedules, new places/bars to hit up in town, a skin care routine they also needed to start implementing – and it spiraled into a moment where the conversation ended with, ‘We should put this into a blog.’ And thus, the blog was born. Favorite Playlist on Spotify: My Daily Mix 1, which currently is all top country songs. However, I have been listening to on repeat for a solid month the original soundtrack to The Greatest Showman. I’m so completely hooked to Hugh Jackman’s singing voice. And normal voice. And, just everything. My Daily Mix 1, which currently is all top country songs. However, I have been listening to on repeat for a solid month the original soundtrack to The Greatest Showman. I’m so completely hooked to Hugh Jackman’s singing voice. And normal voice. And, just everything. Treat Yo’Self: Treating myself involves an extra hard workout then a long, incredibly hot shower where I generously apply my favorite Sabon Sea Salt Scrub everywhere, a deep conditioning, face mask, and a glass of wine, massaging body butter onto my newly exfoliated body once I’ve languished in the shower long enough, then into my Adore Me PJ’s, a newly poured glass of wine, and my current favorite movie or tv show on while I enjoy the soft ache of a good workout. Essentially my very own home spa day. Childhood Dream Job: Surprisingly, I wanted to be a Senior Hedge Fund Portfolio Manager like my dad. That dream died quickly when I grew up and realized how stressful it would be. Me and stress are a big nope. Guilty Pleasure: If I can get away with it, I’ll pour malt vinegar on my fries, burger, chips, anything. I love the taste of vinegar. My mother is sufficiently horrified. Favorite Social Media: Instagram all the way! Best Podcast: My Favorite Murder is amazing! If you haven’t a) heard of it or b) don’t even know what a podcast is – drop your stuff and check this one out! So entertaining. Dream Vacation: Go back to Italy for 6 months after I finish my Italian Rosetta Stone and immerse myself in fully learning the language and culture.